We all know that social media use has been on the rise in the recruiting industry, but did you know that 1 in 6 job seekers credit social media for helping land their current job? That’s the latest statistic according the How Job Seekers and Employers are Connecting Online by OnlineColleges.com. And just how did social media help? Through using social resumes, of course. The infographic defines a social resume as your online presence, something that should represent you to the professional world as a well-qualified job candidate. In 2012, 88 percent of job seekers created at least one social networking profile while 92 percent of employers used social media to recruit. Among employers, LinkedIn was the most popular site for recruiting last year while Facebook took the top spot among job seekers for finding employment. 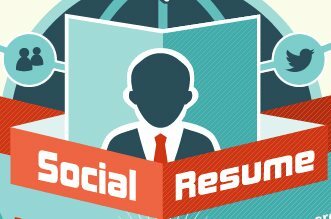 The infographic offers information on how job seekers can create a social resume on sites like WordPress, Tumblr, Razume.com, and ResumeSocial.com. It also provides examples of creative resumes, such as one job seeker who made her resume into an infographic. With your social resume comes your online presence and the infographic lists the do’s and don’t’s when it comes to building your social presence. Also, the infographic advises to show the influence your social presence has. This includes klout scores, LinkedIn endorsements and connections, your Twitalyzer rank and/or blog engagement or Technorati rank.